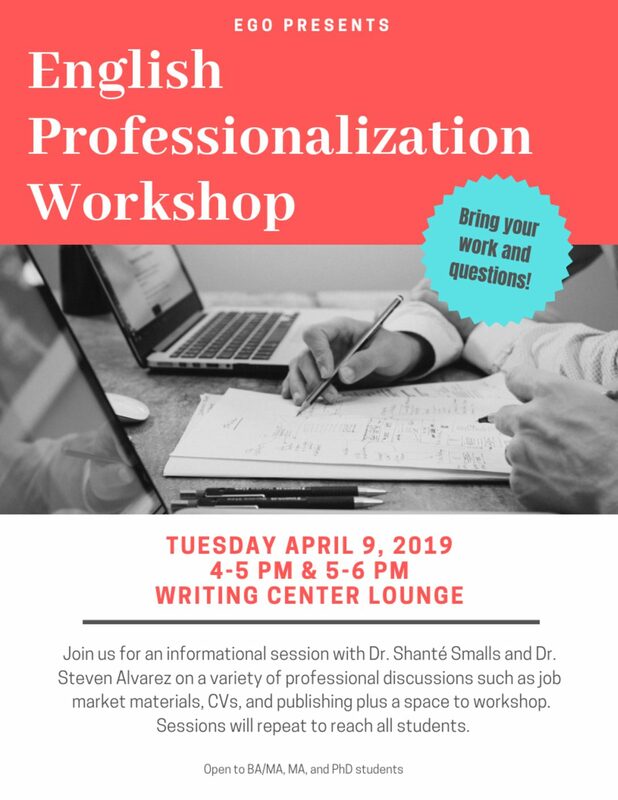 EGO is working with Dr. Smalls, Dr. Alvarez, and Matthew Pucciarelli to present a Professionalization Workshop on Tuesday, April 9th from 4-6pm in the Writing Center Lounge. There will be both an informational section on job market materials and publishing, along with a hands on workshop portion to the event (so make sure to bring your own documents). And Dr. Smalls and Dr. Alvarez will be repeating each portion to better serve all attendees. 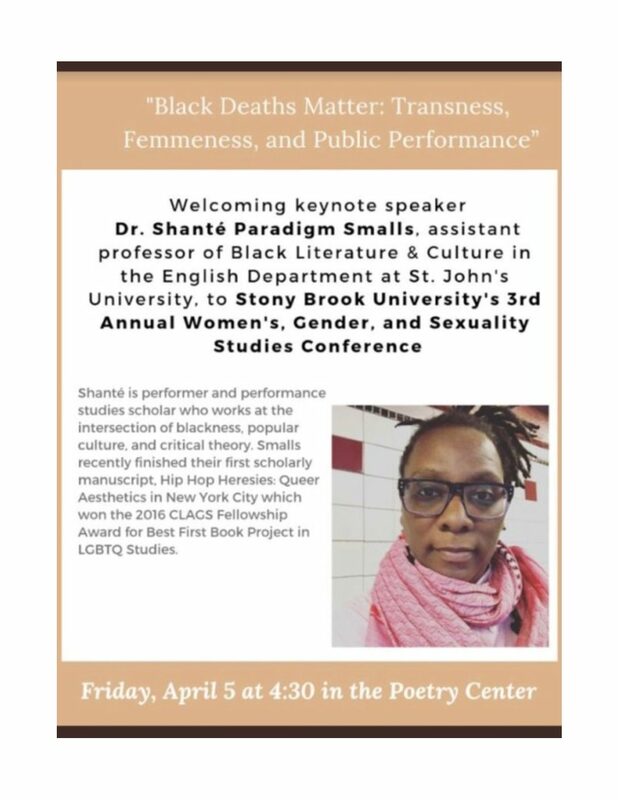 So if you can’t make it till 5, or can only attend until 5, please please please still show up!